Breast Cancer? But Doctor....I hate pink! : Merry Christmas Eve! Some quick housekeeping notes: one of the winners of the MedSystem has not come forward - username had "Sew" in it. If you don't contact me by the 26th, I'm going to give the prize to the next in line. I'd hate for you not to get your prize so contact me at butdoctorihatepink AT gmail.com ASAP. Finally, I want to wish every single one of you a very Merry Christmas and a Happy New Year. I never thought so many people would follow my story and I'm grateful for the many friends I've made through this blog as well as through my facebook page and if you can't say thank you at Christmas, when can you? I count among you some true friends and I am so grateful for your love and support all year long. To those of you who have been helped by following my story and reach out to tell me - thank you. Your words keep me going, keep me wanting to describe living life with end-stage cancer. 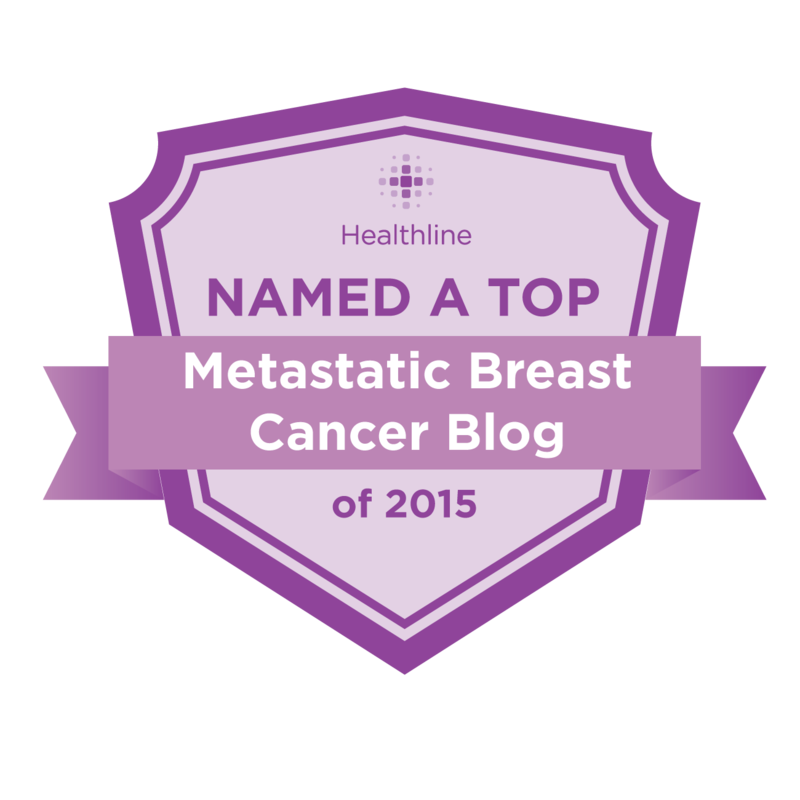 I certainly hope that I will be able to keep healthy enough to keep up with this blog for part of 2014 - dare I hope for all of it? This year will be a good one for me - my son will graduate from high school, my stepdaughter will have her first child, and I intend to be around to see those things. I will also hit my 3rd anniversary with mets to the liver - after that I will have outlived my prognosis, which as everybody knows I am stubborn enough to do and then some. I would like to make it 5 more years, like my friend Sandy did. Think of all I could see in those five years! Why, I could see my son graduate from COLLEGE. But in keeping with our three month limit, in the coming months in this blog, I will have another contest or two, I will share with you my experience being photographed by a true artist, I will maybe talk a bit about my childhood and young adult years, which enabled me to deal with advanced cancer the way I have. I will post part #2 of the "how to live with cancer" post that I had promised. I also intend to share with you my scrapbook pages and a wonderful thing a scrapbook company did for me. There are many delightful things in my life, as diminished as it is and as controlled by pain meds, and I want to share them with you. The lessen learned so far is that you don't have to be active to enjoy life. Small, peaceful things are equally gratifying. Now I have family coming so I need to bake cookies and get food ready. 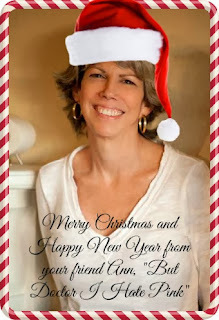 Merry Christmas, Ann, and tons of good wishes for a fantastic 2014. Thank you so much for your blog. Merry Christmas Ann! You are amazing and give me hope and strength. Thank you. You are one amazing lady! But then we ALL already knew that! WIshing you the best of the New Year and more!! Thank you for sharing your story and your thoughts with us. You are inspiring. May you have a happy holiday season. May you get everything you wish for for Christmas, can't think of anyone who deserves Santa coming thru. Thank you for continuing to share your story, Ann. I hope you know how much you are helping people just by living your "simple" life. I look forward to each of your posts - you are such an encouragement to me. I was wondering if you had ever read the book, "The Sound of a Wild Snail Eating". Check it out. I am a recent follower of your blog and your story and want to let you know that you inspire me every day to enjoy life. I wish you a Merry Christmas and I must say you rook marverous! May this indeed be a year of blessings - grandbaby and graduation. May your cancer mets recede, or the the very least stay stable. Remission would be even greater! Life is a gift and you truly get that.